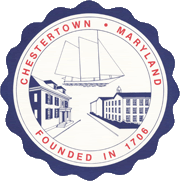 The Charter of the Town of Chestertown states, “The Mayor, during the first quarter of each calendar year, shall report to the Council the condition of municipal affairs and make such recommendations as he (she) deems proper for the public good and welfare of the town.” Herein is said report. FINANCIAL. The audit for the Town of Chestertown for FY 2017 was completed on October 26, 2017 by Lindsey & Associates, LLC of Towson, Maryland. The audit showed the Town to be in extremely strong financial condition with total net assets over liabilities in all departments of $ 14,280,201.00. During this year the Town again held the tax rate at $.37 per $100 of assessed value. The Town also retained the Homestead Property Tax Credit percentage of 5%, which limits the increase in a homeowner’s property tax bill to 5% in any given year, no matter how much their assessment has increased. STAFFING. The Town currently has 42 full-time employees in four different departments. These departments include: Office (6), Street (12), Utilities (9), and Police (15). There are also 4 part-time positions within the Town. Three are employees at the Visitor’s Center, and the Police Department has a part-time civilian administrative assistant. All departments are fully staffed and operating well. This was a successful year for Chestertown in many different areas. The economy built more momentum and building permits for new construction were issued at a faster pace than in the previous year. There were economic opportunities that the Town had laid the groundwork for in 2016 with the establishment of an Enterprise Zone that have begun to bear fruit for the community. The County and State joined us in this initiative, and over a thousand acres of Town properties became eligible for tax breaks under the program. The subsequent annexation of 79.67 acres of industrial, commercial, and residentially zoned land to the north of Chestertown yielded permits this year for a large industrial warehouse/office facility (186,300 square feet building called the Dixon Distribution Center) and the construction of the initial infrastructure extensions of the main artery of Haacke Drive and a smaller interior road named Warner Drive. Permits are expected imminently for a large apartment complex that will ultimately consist of 174 units called Chestertown Business Campus Apartments, and a Dixon Headquarters building will be constructed in the new Chestertown Business Park. HOSPITAL OIL SPILL ACTION: The Hospital Oil Spill Remediation continued to be a serious Town concern in 2017. The Town’s written agreement with the University of Maryland Medical System (UMMS) that would indemnify the Town and protect its well system should the Hospital’s oil plume or its remnants reach the municipal well field remains in effect with quarterly monitoring of the Hospital wells continuing. The Hospital indemnification provides the Town with the costs of well replacement if it was proven that the contaminants had originated from the Hospital’s spill. Additionally, the agreement called for UMMS to install three additional monitoring wells on Campus Avenue, making a total of seven sentinel wells in place between the plume and the Town’s productions wells. These wells were installed last year and are also being monitored quarterly. If there is further movement of the plume toward Campus Avenue and the production wells on Kent Street, the Town is confident that it will show up in the strategically placed sentinel wells first, alerting the movement to the two parties and triggering both an MDE consent agreement for the Hospital to resume recovery efforts and the responsibility of the Hospital towards the protection and preservation of the Town’s drinking water supply. LONG RANGE STATUS OF THE HOSPITAL: The Mayor and Council remain extremely concerned about the short term and long range status of the Hospital in our community. It is crucial for so many reasons that hospital care and beds remain here because of our geographic location and distance to other facilities. Addressing our concerns, Shore Regional Health made a presentation to the Mayor and Council in November 2017. New providers are in the area ranging from private practice cardiologist to primary care physicians. The medical building on Philosopher’s Terrace is full of providers offering services that residents would have had to drive to Easton or Elkton just a couple years ago to receive. A Rural Health Care Study was performed this year and recommendations will be forwarded to the State Legislation that Chestertown be designated as a Rural Community Access Hospital, retaining inpatient beds, continuing as a full service 24/7 emergency service center, and performing surgical services. Based on the current census, the Chestertown Hospital should have approximately 10 inpatient beds. Compass Regional now has space at the hospital in Chestertown will be utilized as a residential hospice center. CHESTERTOWN MARINA PROJECT: In 2017, the Town forged on with all facets of the Marina project. This effort is extremely complex due to the fact that the Town must operate the Marina while rebuilding it completely from the ground up. The massive capital financing arrangements of various grants, Federal and State loans and bonds make it all the more challenging. We have literally reached out in every direction to pull off this intricate project while retaining enough income to at least pay the interest on the State of Maryland Infrastructure Bond issue that was used to purchase the Marina in 2011. In 2016, the Town again requested $1.5 million of the Governor’s Capital Budget. While the $1.5 million was not completely secured, the Town received an additional $200,000.00 from the Waterway Improvement Fund (for a total so far of $800,000), $500,000 from the Senate’s Capital Budget, and a $998,000 dollar USDA grant/loan will help finish the bulkheads, raise the grade, and install new docks. A resolution was passed in March to launch the bond program with USDA, providing for a $598,000.00 loan program with a $400,000 matching grant facet. Finally, we received a magnanimous gift of $100,000 from Mr. Michael Lawrence to help us with this Herculean task. As of this reading, efforts to continue to secure grant funding are ongoing. MARINA INTERPRETIVE CENTER: The Town has received $480,000 in grants from the Department of Housing and Community Development’s Strategic Demolition Fund and Maryland Area Heritage Areas to begin construction on the new Marina Interpretive Center. The original bids for a two-story Center were opened in August 2017 and the bids were almost double the amount expected by the Town. The Town voted to work with the low bidder, Yerkes Construction, in an effort to bring the project into budget as a one-story building. Unit pricing was used to scale down the building with the Architect’s and the contractor’s cooperation. The final version came in at about half the price and still accommodated all functions that were originally planned for the building. A contract was signed and construction began in November. MARINA PROJECT UPCOMING IN 2018: Starting in the New Year, the fuel dock and the northern transient dock will be removed and the area in front of the bulkhead dredged. The old Marina office will be razed and the a new, raised bulkhead will be built from the office to the Sultana pier. This, and the new walkway that goes with it, will eliminate a hazard that we constantly had to monitor and repair on the old walkway. Following the dredging, a new floating fuel dock will be installed and lengthened, and the Sultana pier will be extended with fixed docking. If it is within the budget, the southern pier will also be removed, extended, and replaced. Once the bulkheads are raised and all of the underground electrical, water, sewer and storm drain lines are installed, the land will be elevated by two feet at the river’s edge and tapering back to ground level as it approaches Water Street. ANNEXATION: Annexation of just over 149 acres of land that has no residents or other property owners and has functioned exclusively as the Town’s wastewater treatment plant since 1967 became official in December 2017. The annexed area is located in Ward 2 and is zoned Institutional. MARGO BAILEY PARK: This year the Dog Park, through donations of the Friends of the Dog Park, was able to build a second pavilion in the area designated for small dogs. Training aids and play equipment for visiting canines will be built this year with the volunteer help of Yerkes Construction and Washington College’s Habitat for Humanity. The Friends of the Dog Park will pay for materials but the labor will be donated. WILMER PARK PLAYSCAPE (BROAD REACH): In 2017 the Broad Reach Sculpture became a reality, with the help of a $25,000 grant from the National Endowment for the Arts Our Town Grant and private donations in the amount of $139,000.00. The David Hess sculpture was delivered to Wilmer Park in late September, at which time Yerkes Construction donated a crane and the very substantial footings for Broad Reach. Anthony’s Flowers and Landscaping graded the site and installed sod around the sculpture as their gift to the project. The dedication ceremony was held on Saturday, October 14th and the piece was dedicated in honor of Alex Castro, who served as a leader towards the field of art in this community. Once the ropes protecting the new sod were dropped around the playscape, children began to climb the large stainless steel structures, which evoke the image of crashing waves and a sailboat riding the wind. SALE OF THE OLD CHESTERTOWN POLICE STATION: The former police department building at 333 South Cross Street was sold to Sultana Education Projects in April 2017. The space is now being used as staff quarters for the Sultana crew. VISITORS CENTER AND SPECIAL EVENTS: The Visitors Center was open 360 days last year and had approximately 11,565 visitors. June was the most active month with 1,509 visitors, followed by 1,403 visitors in May and 1,259 in October. Major events in 2017 included the Chestertown Tea Party Festival, Sultana’s Downrigging Weekend, Fourth of July fireworks, the National Music Festival, Legacy Day, Music in the Park, the Jazz Festival, Taste of the Town, the HP Festival, RiverFest, Dickens of a Christmas, Chester Gras, Santa’s arrival, and D.C.A.’s very popular “First Fridays” program. Winterfest and DCA’s First Friday in December commingled this year with a new festival in Town called “Dickens of a Christmas” which can only be described as a true winter wonderland in Chestertown and a renewed holiday spirit through Town. What a wonderful success. Special thanks to Kay MacIntosh and the revived Main Street Chestertown program for their creative energy. We are already looking forward to next year. CURB APPEAL AND D.C.A. : The Downtown Chestertown Association’s Curb Appeal program continued to beautify the Town, including the yearly addition of the spectacular lights and garlands during this year’s holiday season. Our thanks go out to all the Curb Appeal volunteers and to the head of the Downtown Chestertown Association, Kristen Owen. We also congratulate the Chestertown Garden Club for the beautiful Christmas decorations of Fountain Park and surrounding environs on High Street. LUISA D’A CARPENTER PARK: Phase I of the Washington Park open space was completed with the addition of painted park benches from Fountain Park, horseshoe pits, and swing set installation. A Community Parks and Playground grant request has been submitted for Phase II that will include a walking trail, renovation of the basketball park, and a pavilion if the grant is funded. FARMERS AND ARTISANS MARKETS: The Farmer’s and Artisan’s Market in Fountain Park continues to fill the Downtown with a special social and economic vitality on Saturday mornings. ELECTION: An election was held on Tuesday, November 7th for Mayor, First Ward, and Third Ward. To the delight of Chestertown, Chris Cerino decided to run for a second term and ran unopposed. First Ward Councilmember Liz Gross and Third Ward Councilmember, Sam Shoge, did not seek a second term. We thank them for their service and dedication to Chestertown. We welcome tonight new First Ward Councilmember David Foster and Third Ward Councilmember Reverend Ellsworth Tolliver. 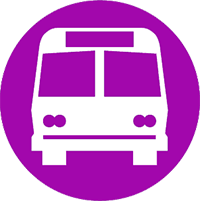 PUBLIC INFORMATION: The Town utilizes Constant Contact, Facebook, and a revamped web site at www.townofchestertown.com to provide information to the public. James Egan continues doing a great job of getting our Mayor and Council meetings on air via the local cable channel and YouTube. TOWN WEB SITE: The Chestertown web site is user-friendly for residents and visitors alike and is updated on a daily basis. Thanks to Ms. Francoise Sullivan of Moo Productions for her continued efforts to keep the site current and functional. There have been 47,065 unique visitors, spending an average of 2.8 minutes and viewing an average of 2.46 pages during each visit. MARKETING COMMITTEE: The Marketing Committee continued with meetings this year in an effort to rebrand the Town and standardize the street signage. Continue our work with businesses, business associations, industries, and institutions to improve the local economy and keep storefronts filled. ACKNOWLEDGMENTS: I would like to take a few final moments to thank all of those individuals who donated their time and talents to make Chestertown a better place in 2017. Thanks to the Chestertown Volunteer Fire Company and the Kent and Queen Anne’s Rescue Squad, who put their lives at risk to protect our property and loved ones. Thanks also to the dozens of Commission members, Committee members, and Task Force members who donate their time to help the Town review applications, coordinate growth, and formulate future policy. Without your help, there is no way that we could function. Next, I’d like to recognize the volunteers who directly or indirectly assist the Town with all the events and activities that bring excitement, pride, and a sense of identity to Chestertown. These include individuals, local businesses, and non-profits that do what they do all year long without expecting any thanks in return. Finally, thank you to the employees of the Town who carry out their jobs with pride, a sense of responsibility to our citizens, and attention to detail. While our beautiful river, historic buildings, Washington College, and the laid-back lifestyle of the Eastern Shore make Chestertown a unique and enjoyable municipality in which to live, it is the people in our community that make it a truly special place.